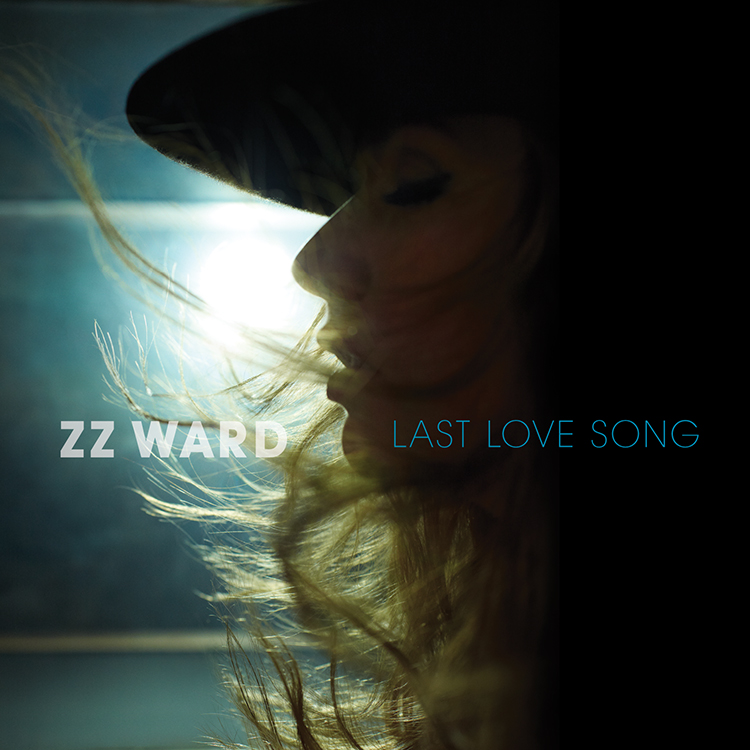 From the very first moment that I heard, “Last Love Song” by ZZ Ward, I was hooked. The emotional lyrics and her powerful voice drew me in. I would be lying if I said that I didn’t belt it at the top of my lungs after an awful break up a few times. 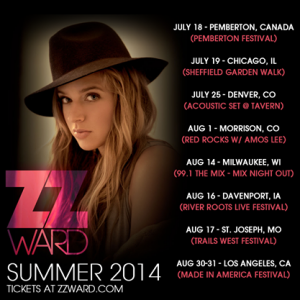 Who is ZZ Ward exactly? Well, she was raised in Oregon, in a small town called Roseburg. Her Dad wrote and sang the blues and she started performing with him in his blues bands when she was young. 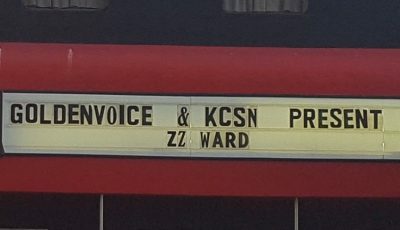 Eventually, Ward began writing hooks for and performing with local rappers from Eugene. 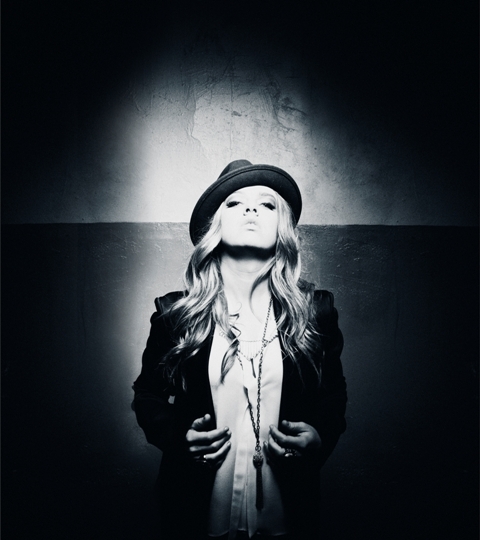 Since those days, ZZ Ward has gone on to release a debut album entitled Til The Casket Drops. The hot singles “Last Love Song”, “Put The Gun Down” and “365 Days” can be found on it. I was incredibly fortunate to interview this very talented musician recently and here’s what she had to say about touring, who she has enjoyed working with so far and why exactly she wears hats so often. First of all, I am a huge fan of yours and I really hope to see you perform one of these days! Sadly, I am out of town when you are here in LA performing at MADE in America Festival. I’ll have to catch you next time. So, you grew up listening to your dad write and sing the blues. Did that inspire you to be a musician? When did you fully realize that you wanted to be a performer? Yeah, my dad really inspired me a lot and had a lot to do with me doing music. Since I was about 8 years old I knew I wanted to be on stage. Tell me what it was like performing with local Eugene rappers when you were just starting out? What did you learn from them? It was really fun performing with local rap artists. They taught me that you can make things happen in areas where things might not already be happening. It was inspiring. Yes I have grown. I’ve played pretty consistently for about 2 years and through performing all those shows I’ve learned how to interact with different crowds. “Last Love Song” is an incredibly powerful song. What is the inspiration behind it? “Last Love Song” is about letting go of a broken relationship. What bands are you currently listening to? What music is inspiring the music that you’re making? Are there any new artists that you are loving right now? I don’t really listen to a lot of new music right now because I have been writing so much lately. What is your favorite song to perform and why? Any covers that you love to do during your shows? My favorites change night to night. It depends on what kind of mood I’m in really. If I’m in a sensitive mood then it feels good to do “Last Love Song”. I cover Drake’s “Hold On We’re Going Home” and I love it. What do you like to do for fun? On this crazy tour schedule, can you venture out and sightsee a little in the different cities? Yeah we just went to Canada and it was gorgeous. There are certain places we go where we can see the landscape and cities. Its fun. If you could work with any musician, living or dead, who would it be and why? It would be so cool to work with Biggie Smalls! Who have you loved working with and what did you learn from them? I loved working with Evan Bogart. He really taught me how to be sincere in what I am writing about. I’ve recently started wearing more hats and I think you are one musician that has inspired that. Why do you wear hats so often? Wearing a fedora is my homage to the blues. What was performing at Coachella like this year? So much fun. It was such a music loving crowd. It was really inspirational. Thus far, what’s a favorite memory or something quirky that’s taken place with your band (in-studio, onstage, or elsewhere)? We had a tour manager one time that fell in the snow and we got it on video. It’s referred to as “The Great Fall” and we still can’t stop watching it. It’s amazing. You are in the middle of a pretty busy US summer tour. How do you keep up the energy and momentum night after night? I take the time to surround myself with good people who I enjoy working with. What’s been your favorite city and venue to play at so far? I think it’s going to be Red Rocks. I’m playing there for the first time in a week. We do our L7’s before we go onstage. What is something that you would like new fans to know about you? I don’t want them to know about me, I want them to like my music. 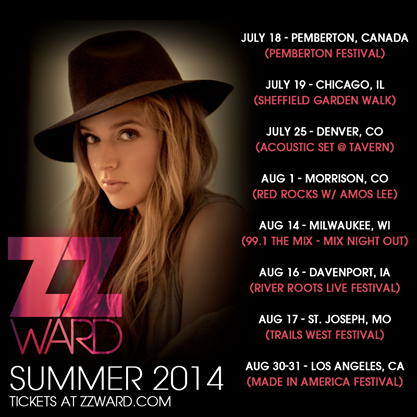 Here’s ZZ Ward’s Summer Tour Schedule! There’s still time to catch her! 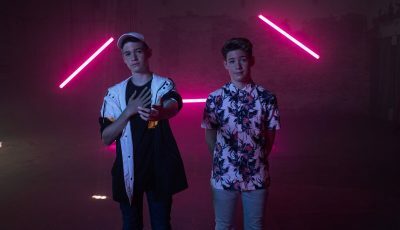 An Interview With The 15-Year-Old Twins MAX + HARVEY On Their Latest Single ‘Trade Hearts’ and Much More! 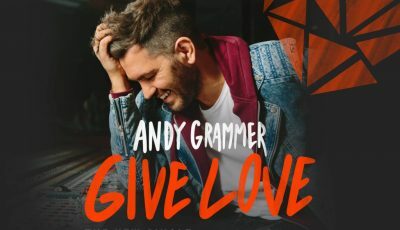 An Exclusive ANDY GRAMMER Performance at Hyde Sunset!